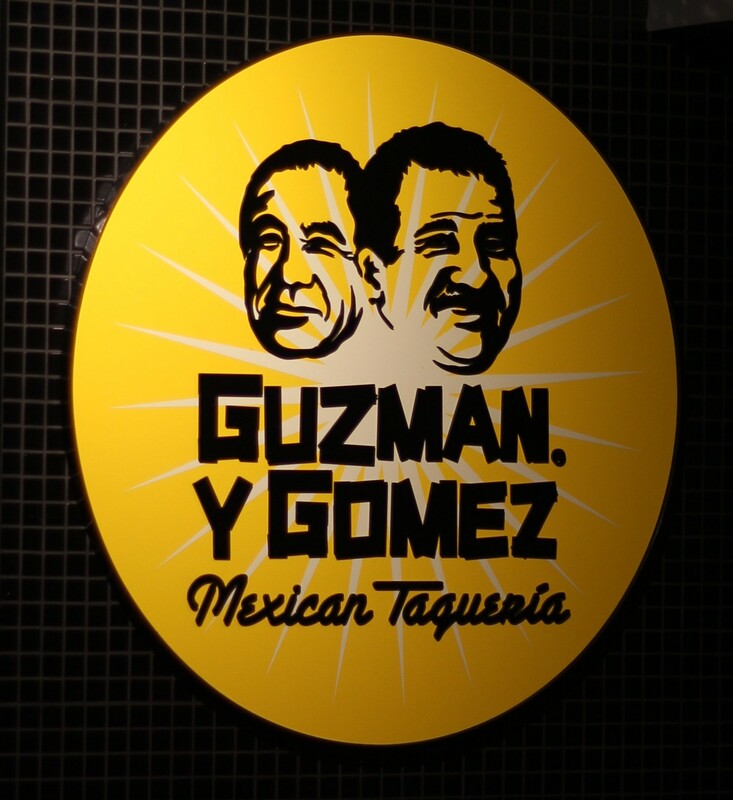 In the world of Mexican food, Guzman and his amigo are like Barack Obama – talented, but also the victim of ridiculously high expectations. Since the franchise first gave signs of interest in Queensland, this place has been talked up as ‘only like totally The Most Amazing Mexican Food Place EVER’, especially by anyone that’s spent time in Sydney. Thanks metros, I’m sure Guzman really loves you dudes. Naturally, I was totally devastated when I discovered that these bros are just fictional. The result of this incredible reputation is that when you actually go there, you’ll probably be surprised to find a fast food joint. I’m not sure what I was actually expecting to find – maybe mariachis, an outdoor barbeque, drug battles – but I clearly had some pretty vaunted ideas of how authentic this place is. Instead, the setup is a neat, well-lit operation with clever branding and that kinda ‘brushed steel’ look that perfectly complements its setting in the yuppie paradise that is Emporium. Now, I ain’t hatin’ – in some ways it was pretty good to see a place that could serve up decent food without pandering to the standard tired cliches (like the ones I dropped earlier in this paragraph). In spite of my disappointment that this place is not, in fact, an Aztec food palace, it made for a pretty gratifying experience. It’s just slightly more upmarket than similar operators like Mad Mex and Tuckeria, but not ludicruosly so – you can still get a decent meal for two for around $25, excluding drinks. And on the topic of drinks, they have a frozen margarita machine: crucial. I’m sure those come standard in all Aztec Food Palaces. Like its competitors, Guzman lets you customise your meal a fair bit. I went for the chipotle steak burrito, lured by the promise of spiciness and smokey flavours. I made the error of getting guacamole too though, which I’m increasingly sure is a bum steer in the world of burritos. My chipotle steak was pretty tasty – not life-changing, but good – and the burrito itself was generous but the double whammy of guac and sour cream makes for a squishy mouthful and you can really miss the steak flavours sometimes. The Mistress had similar views on her chicken burrito, which had really excellent meat but sometimes got drowned out a bit by squishy cold things. The Australian palate is a mild thing, having developed largely on sauces that come in ‘red’ and ‘brown’ flavour, and I think many places cater to this by not loading up the chillies too much. 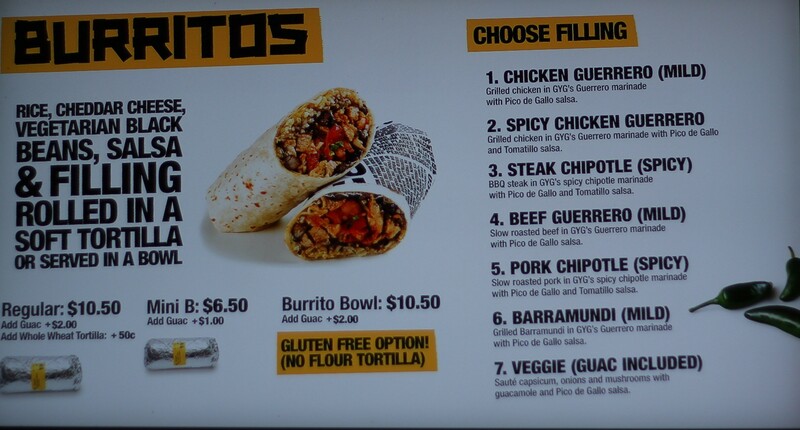 Even the purported spiciness of the chipotle steak was kinda in line with the Geelong definition of ‘spicy’. Guzman kinda makes up for this by offering free jalapenos and three kinds of tabasco. Fire eaters need not fear total boredom (though Mad Mex is still the best if you like it brutal – their habanero salsa brings the pain in a way that might last into your Sunday morning). Like our BFF over in the White House, Guzman wins the Philistine seal of approval, but only because we’ve gotten over the hype. If you don’t mind making a slight detour in your valley plans tonight, check this place out. If you close your eyes, you’ll still hear Kelly Clarkson but you might just be able to conjure up that Aztec Food Palace in your mind’s eye. 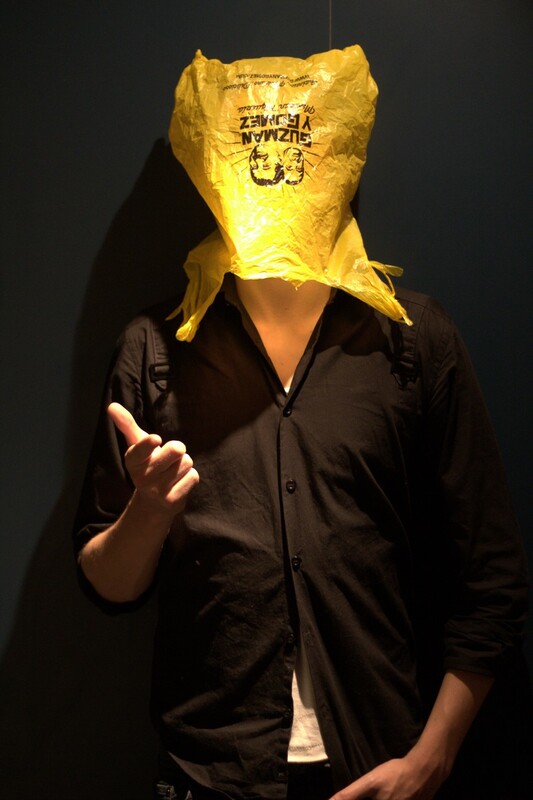 Even the bags are quite funky. But they don't really work as hats. PS- While you’re on your way through Emporium, be sure to have a chuckle at the dudes eating in Wagamama for me – their ‘Asian’ food is twice the price of your coming burrito and probably made by a guy from Glasgow. This entry was posted on May 14, 2011 by Philistine. It was filed under Uncategorized and was tagged with Aztec Food Palace, Food, Fortitude Valley, Margaritas, Mexican, Obama, Pre-drinks, Recommended. I see you’re eating some meat again. I guess only doing vegetarian reviews would be hard. And I agree that frozen margaritas are crucial to enjoyment of most things. There’s a place over here that does them and on a hot day, they’re perfect. Unfortunately they make you want to fall asleep quite quickly, which isn’t necessarily a bad thing.